Do you need a vehicle towed in Bonney Lake? The vehicle impounding process is never a comfortable one. Somebody is getting their vehicle taken away, and someone is forced to take action to get said vehicle towed. 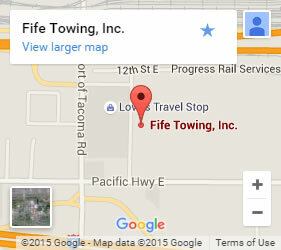 No matter which side of the affair you’re on, Fife Service & Towing may be able to help. Our technicians are always standing by and ready to respond 24 hours a day. 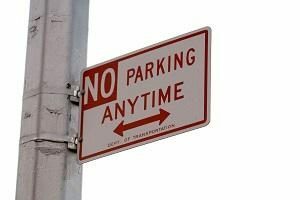 What if my vehicle is towed by you? We understand that having your vehicle towed is a very stressful situation. 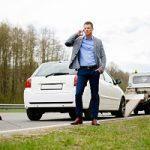 If your impounded car has been towed by us, we’ll do what we can to make the retrieval as straightforward as possible. However, there are certain steps you can take that will allow the process to go significantly faster. Call us to check which impound lot your vehicle has been towed to. Usually, it’s the lot that’s closest to the spot where it was towed, though there are exceptions. Make sure that the registered owner comes to pick up the vehicle. If the owner is unavailable, someone else may do so as long as they have verifiable permission. Always have some kind of picture ID for identity purposes. There must be a driver with a valid license present in order for the vehicle to be released. Along with a valid driver’s license, the operator of the vehicle being released must be insured to operate the vehicle before it will be released. If your vehicle was impounded by a police agency, there might be extra requirements before you can get it back. Make sure to check with them first before going to pick up your vehicle so there aren’t any extra setbacks. How do I make sure you’re the towing company that will get called for my business? If you’ve decided to go with us for impounding unauthorized vehicles, give us a call and we’ll help you through all the necessary requirements. Once this is done, we’ll help you put up the sign in your parking lot in a good spot with all of our contact information. By doing this, we’ll make sure that you won’t have any issues with visibility to reduce the chance of the owner of the towed vehicle challenging you. If you do end up in the uncomfortable situation of having to tow someone away from your business, you can talk to us and we’ll take care of contacting the vehicle’s owner for you. We’re always open for emergency towing and are well-equipped to tow any vehicle!